At the core of Omorovicza skincare is one of the world’s most powerful health and beauty forces: Hungary’s mineral-rich thermal waters, from over 1,000 hot springs in the Carpathian basin. These waters offer healing benefits that have been prized for over 2,000 years. Today, medical practitioners prescribe bathing in Hungary’s healing thermal waters to treat numerous ailments. 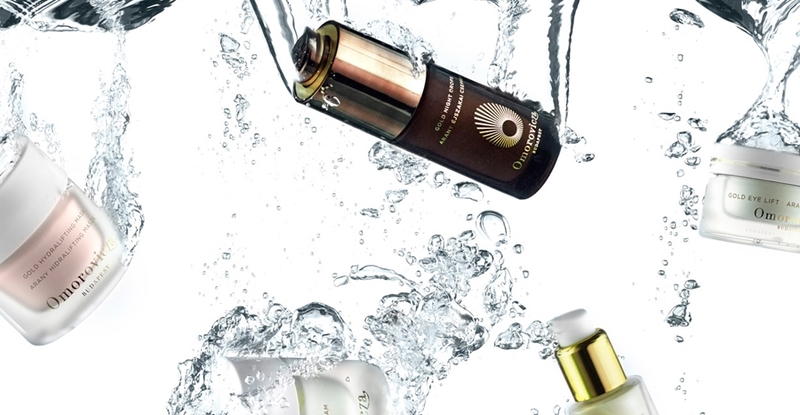 Omorovicza Cosmetics, based in Hungary and available in select spas around the world, uses this mineral rich water as a base for all of their products. Omorovicza products feature a patented mineral delivery system that was developed in collaboration with a Nobel prize-winning laboratory. Called Mineral Cosmetology™, this delivery system enables a potent blend of minerals to be absorbed by the epidermis and dermis. Key anti-aging benefits include enhanced synthesis of dermo-proteins (collagen and elastin), a tighter lipid matrix to lock in vital moisture, greater anti-oxidant defense against free radicals, and the gradual healing of micro-damage to provide a stronger barrier. Working both on the surface of the skin and deep within, the Mineral Cosmetology™ system helps skin becomes softer, smoother and more supple. With a focus on pure ingredients, Omorovicza Cosmetics avoids certain synthetic elements commonly found in high-performance skincare. These include parabens, silicones, petrochemicals, polyethylene glycol (PEG) and sodium laureth sulfates, plus synthetic colors and fragrances. However, Omorovicza refuses to compromise on efficacy. Instead, high-performance, naturally derived alternatives are used to ensure that the Omorovicza experience dramatically improves the appearance and texture of the skin.